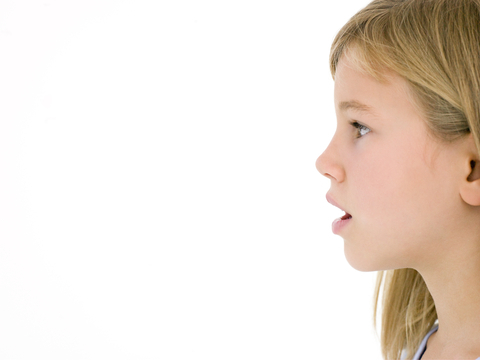 Home » voice » Voice Sounds Different After Tonsillectomy and/or Adenoidectomy! Every so often, I hear a parent state that their child's voice/speech sounds "different" after undergoing tonsillectomy and adenoidectomy. Beyond sounding less nasal which is expected, the other comment is sounding higher pitched or more feminine. This observation is especially true when dealing with a male school-age child. The reason for this voice (or really speech) change is because the upper airway is much larger and more resonant after the tonsils and adenoids are removed. Just like a person's voice sounds different when talking in a closet versus a large auditorium, the larger opening through which the voice travels after surgery is much larger than before and as such, the voice/speech has to correspondingly change after surgery as well. The change is also much more dramatic the larger the tonsils and adenoids are. SO, do not be alarmed if your child sounds different after surgery, especially if the tonsils and adenoids were extremely large. It is actually an expected occurrence and not an indicator of anything bad, swelling, healing, etc. I'm a speech therapist and I have been surprised about how many clients I have seen who still sound hypernasal 6 months post op. Either we have some aggressive ENTs around here or the percentage of kids with hypernasality post adenoidectomy is higher than I thought. I have a 6 YO right now who is not only mildly hypernasal but has approximation issues during velar plosive sequences.